A nice local job for us at a hotel in Lancashire. New owners had found this Fort Knox safe whilst re-carpeting and didn’t have any keys for it. We got to site, picked it open and were on our way home within an hour of the call. Being so local we decided to service and re-key it back in the workshop. When we received the picture of this Fort Knox safe in Liverpool we could tell from the lack of handle and the amount of rust that it would probably not be an easy opening. Looking into the lock with scopes showed a large amount of rust and crud, so much so in fact that we could not determine if the lock was open or not. The lid was rusted solid so before we started hammering away trying to free the lid it was important to ensure that it was unlocked. After some time cleaning out the lock we could finally see that it was indeed unlocked and we could use the ‘Big hammer’ to free the lid. Being in a cellar and given the level of rust we weren’t surprised to see that the safe was full of murky water once opened. When the keys were lost to this Fort Knox underfloor safe the owner required a Liverpool safecracker to sort out the problem. 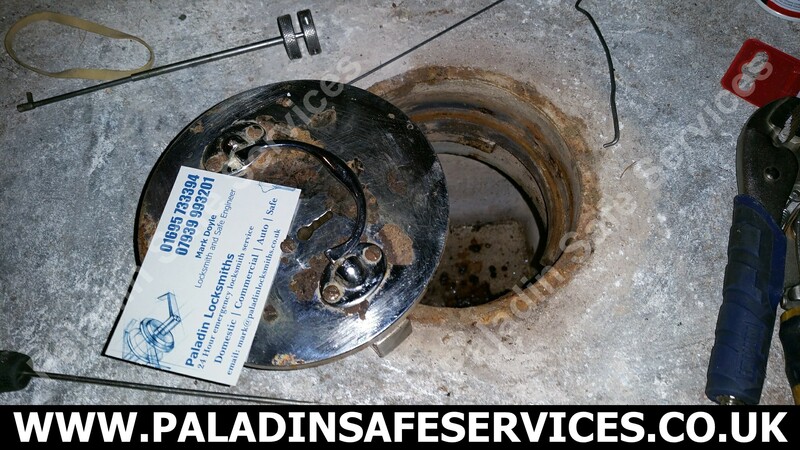 Luckily he called Paladin as we are local and highly experienced in safe openings. 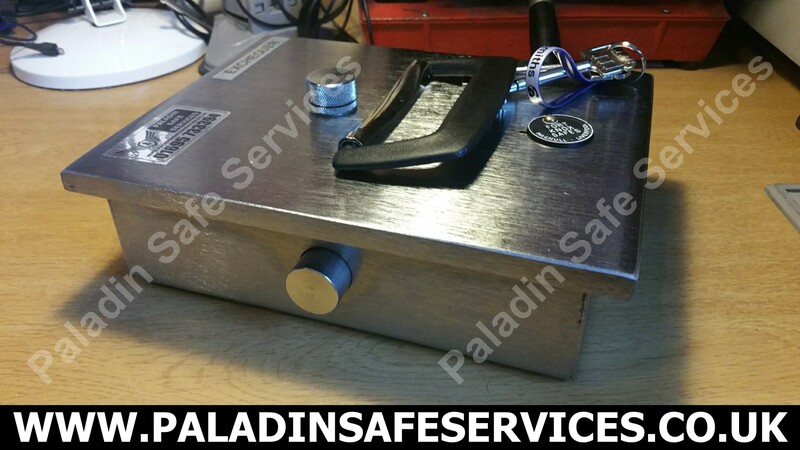 Our safecracker picked open the safe, serviced the lock and lid and made a new set of keys. If you need a safecracker in Liverpool then give us a call for a professional safe opening service. This Fort Knox safe was found under the floorboards whilst the owners of the house in Southport, Merseyside were having them revamped. 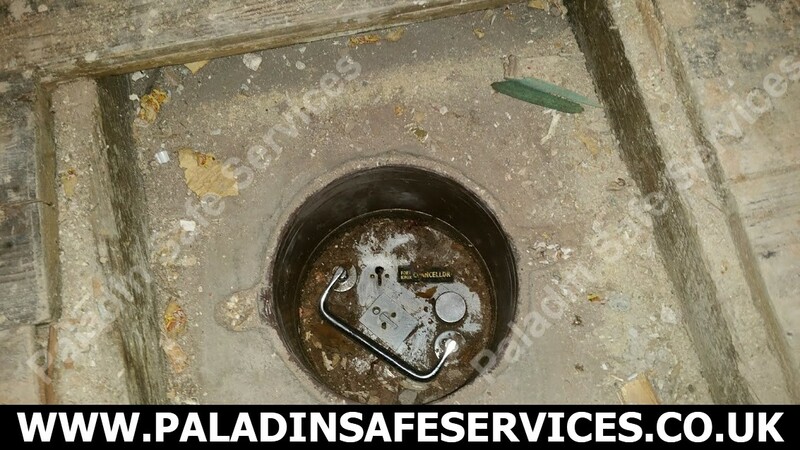 We expected this to be a fairly straight forward job as the lid looked in relatively good condition but we quickly found that the locking bolt had rusted solid. After several hours of attempting to free it we got it to move and were then able to pick the lock open. After a good service a new set of keys were made for the lock and the safe was put back into service. If you need a Fort Knox Safe Locksmith in Southport or the North West of England then give us a call. It was a very familiar story for our Southport safecracker with this Fort Knox underfloor safe. The locked safe was discovered by the new homeowner whilst laying some flooring and it was decided that he’d like to be able to use it. As we have done many times with these, the lock was picked open and a new set of keys were supplied. 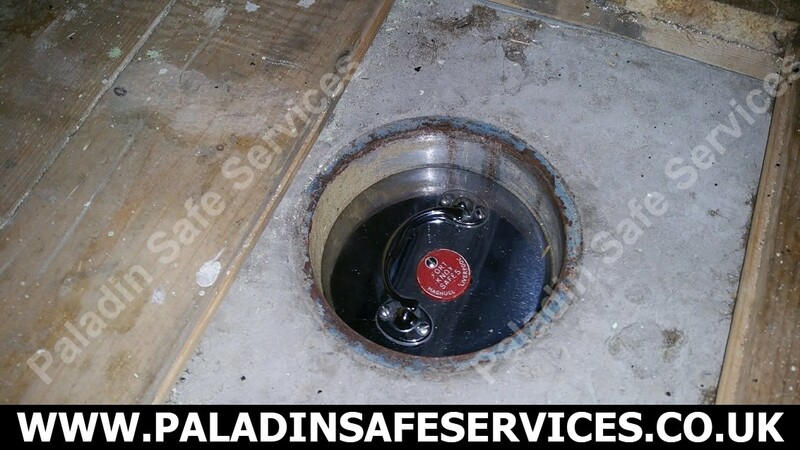 Another Fort Knox underfloor safe cracked by Paladin Safe Services. The safe was found hidden under a 1980’s newspaper where presumably it had laid undisturbed until today. We picked open the lock and provided a new set of keys so that it could start to be used again. 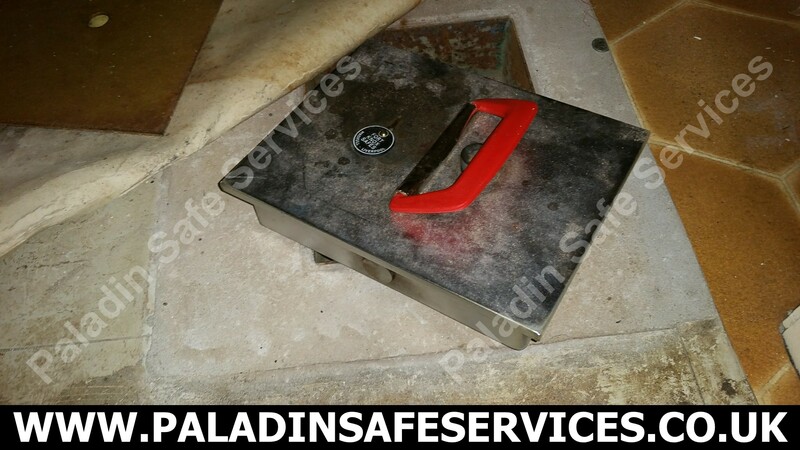 We have opened dozens of these safes but have never seen one with a red escutcheon covering the key hole. Perhaps this was a special edition of some sort. This Fort Knox Chancellor Under Floor Safe hadn’t been opened for at least thirty years as no keys were left when the home owners purchased the property. During some renovations they decided to get us in to uncover its mysteries. We attended the property in Liverpool and opened it up for them. A Fort Knox ‘Square door’ under floor safe opened for a customer in Liverpool after the safe keys had been lost. We routinely open the round door versions but don’t see many of these rectangular lids, nice to see something different for a change. A home owner in Stoke-on-Trent discovered this Fort Knox Safe after ten years of living in the property and asked us to open it up. We have opened lots of these safes but this one had a very different lock to what we were expecting. This complicated the job somewhat but we still managed to open it up for them. The key would no longer work in this Fort Knox Exchequer under floor safe in Ashton-in-Makerfield, Wigan. We decided to bring it back to the workshop for an overhaul. With a replacement lock, a service and two new keys she’s good to go again.